All types of siding have their advantages, but probably the most popular today is vinyl siding, suitable for all types of buildings and versatile enough to mimic remarkably well the aspect of other materials, such as wood. The benefits of vinyl siding Siding boards are lightweight and therefore easy to transport. Installations does not require specialized knowledge, but only a couple of skilled individuals, able to follow the manufacturer`s indications. 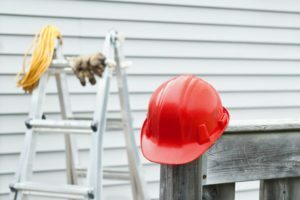 Although a good Fayetteville roofing contractor has much experience and can make the job look easy, they also warranty their work. The material itself is not vulnerable to weather conditions, therefore vinyl siding can be installed at any time of the year. It does not require painting throughout its life cycle. Vinyl is a non-toxic material, which does not burn, is resistant to adverse atmospheric conditions, biological agents and most chemicals. It is excellent for being installed along with thermal insulation and it keeps the facade ventilated, through the holes existent in each board. Boards fastening and accessories simplify installation and reduce assembly time. PVC siding is very easy to maintain. It only requires to be cleaned once a year or so. You should scrub the surface using a brush to remove dirt, and then rinse it with water, using a garden hose. Do not worry about the color, as it will not fade away, considering that it permeates the material. This entry was posted	on Tuesday, May 22nd, 2018 at 11:13 am	and is filed under Roofing. You can follow any responses to this entry through the RSS 2.0 feed. Both comments and pings are currently closed.